Get a temporary New Zealand bank account. There are plenty of benefits of having a bank account in New Zealand: no outrageous exchange rates and not to mention getting paid if you are working in New Zealand. 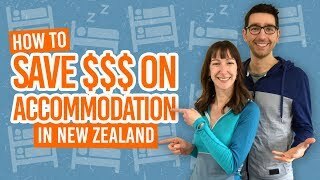 When you are on a working holiday in New Zealand or spending a just a few months in New Zealand, you will want to open a temporary bank account. Thankfully, there are plenty of options for temporary bank accounts in New Zealand. Most banks have a standard bank account option which allows you to do all the essentials like online banking and getting a debit card. You are not bound by any yearly contracts. 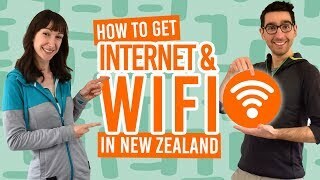 If this guide, we’ll show you how to open a New Zealand bank account and how to close your bank account. A temporary bank account will be a “Standard” bank account which are not bound by contracts. You can close these bank accounts at anytime. With that in mind, here is a quick comparison of the main New Zealand bank companies and their standard bank accounts. Standard accounts allow you to do online banking, withdraw money from ATMs, and include a debit card, otherwise known as EFTPOS in New Zealand. Note, that while some of them have a yearly fee, you can still close the account within a year. A proof of address (and yes, this needs to be a New Zealand address. 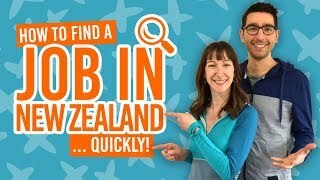 For advice on where to get one if you have just arrived from overseas, check out How to Open a New Zealand Bank Account). At your appointment, you will be given an electronic debit card which New Zealanders call “EFTPOS” (it’s just a debit card). You also have the option to purchase a MasterCard/Visa debit card which will allow you to make payments online. Your MasterCard/Visa will be available to pick up from the branch or can be send to a chosen address within a few days. For tips on how to speed up this process, take a look at 6 Tips to Quickly Open a Bank Account in New Zealand. No doubt, once you have opened a temporary New Zealand bank account, you will want to transfer some funds onto it. There are several ways of doing this, all with their own costs and benefits. If you are transferring money onto a New Zealand bank account from overseas, then follow our guide on How to Transfer Money to Your New Zealand Bank Account. If you are transferring money between New Zealand bank accounts, then check out what bank details you will need in this article. Closing your bank account is super easy if you close your account while you’re still in New Zealand. First, make sure your bank account has zero balance. You can do this by withdrawing the money when you close the account or by transferring your money to another bank account. Travellers can find out how to do that in How to Send Money Overseas from a New Zealand Bank Account. Book an appointment to close your New Zealand bank account at a New Zealand branch. Take your passport and all your New Zealand bank cards with you. The appointment should only take around 20 minutes, if your account is free from overdrafts. However, closing your bank account from overseas is a little trickier and the best thing you can do it call your bank over the phone who will give you specific instructions. For more information on how to close a bank account, check out How to Close a Bank Account in New Zealand. If you have worked in New Zealand you are entitled to a tax refund at the end of the financial year. Even if you have left New Zealand, companies like Taxback allow you to not only get your tax back from overseas, but your tax refund can be send to any chosen bank account even if it’s overseas. Find out more about getting a tax return in How to Get Your Tax Refund in New Zealand.